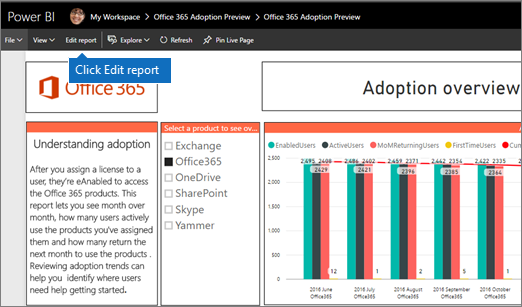 Microsoft 365 usage analytics provides a dashboard in Power BI that offers insights into how users adopt and use Office 365. The dashboard is just a starting point to interact with the usage data. The reports can be customized for more personalized insights. You can also use the Power BI desktop to further customize your reports by connecting them to other data sources to gain richer insights about your business.